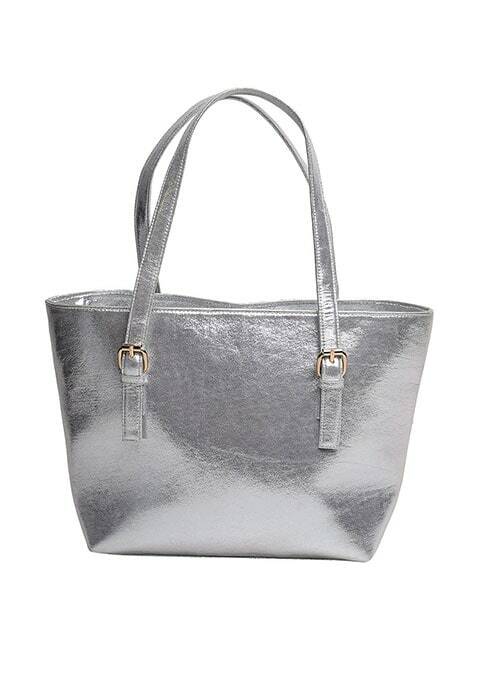 Get with the so-hot metallic fever with this glossy silver faux leather trapeze tote featuring a top zip closure and twin handles. Take it to the party with all your night out essentials. Work It - On-fleek with a white lace maxi dress and a glossy pink pout.